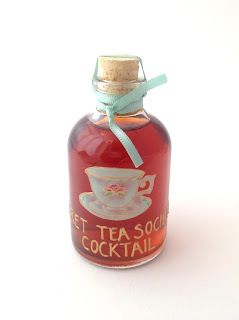 I have recently had the pleasure and the privilege of creating a cocktail for the Secret Tea Society; an ever increasing group of smart, tea drinking ladies from London, Surrey, Bath and Yorkshire, united in a love of good conversation and of course, tea. 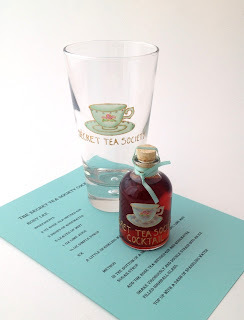 As a proud member of the Secret Tea Society myself, it was of course in my own interest, to create a cocktail that reflected the very essence of what the Society is all about, that could be enjoyed by the ladies during those times when a cup of tea won't quite suffice. Our glorious leader and grande dame of the Secret Tea Society was kind enough to fill in the questionnaire for my Bespoke Cocktail Service which asks a number of questions, pertaining to flavour preferences, as well as finding out a little more about the intended recipient. 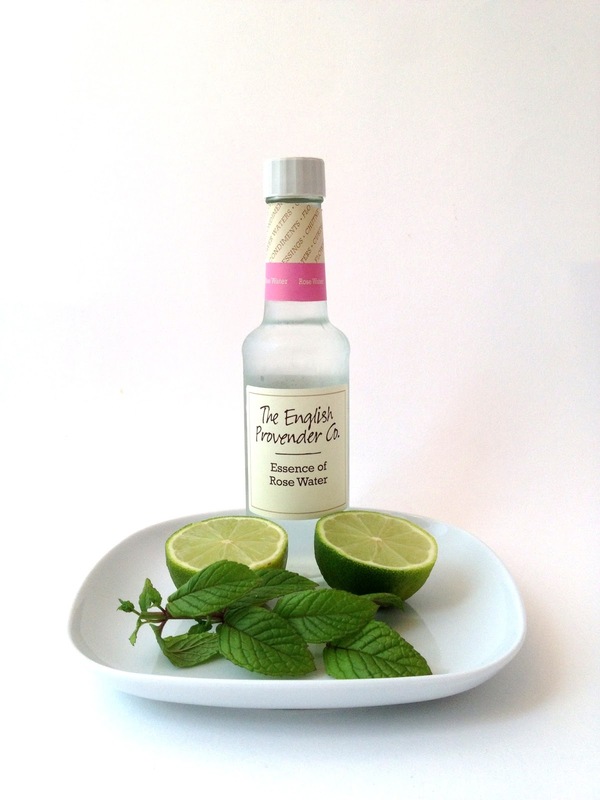 Having established preferences for gin, rose, mint and lime, it was a matter of finding a way to best combine those flavours whilst making it pertinent to the Secret Tea Society. Of course, it was only right and proper to include tea and so the main ingredient of the cocktail is Rose Tea Infused Gin and it's name is Rosy Lee. 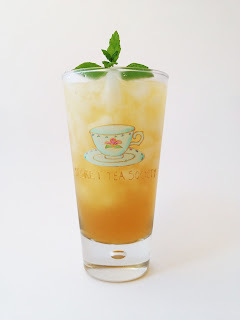 If you would like to make this cocktail at home, you will need to first, infuse a good gin with rose tea. I recommend using one that is just rose flavoured, as oppose to one mixed with fruit as well. I used Twinings Rose Garden teabags which are available from Selfridges, Waitrose and Tesco. You can also use loose tea and strain the gin into a cup or glass when it is ready. Use one teabag or teaspoon of loose tea, per 2 oz of gin. Add your teabag or loose tea to the gin and allow to infuse for 1 hr, then remove the tea and set the infused gin aside, for later. In the bottom of a cocktail shaker, muddle (squish) the mint, lime juice and simple syrup to release the oils from the mint.